I finally got all of my supplies to start my Miranda bag and the first thing I have to do is quilt 2 fabric panels that will later be cut up into blocks. 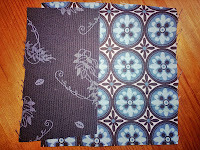 I'm using the same prints that I used on my Kindle Cover - a blue/black medallion pattern and a black/slate gray floral pattern. 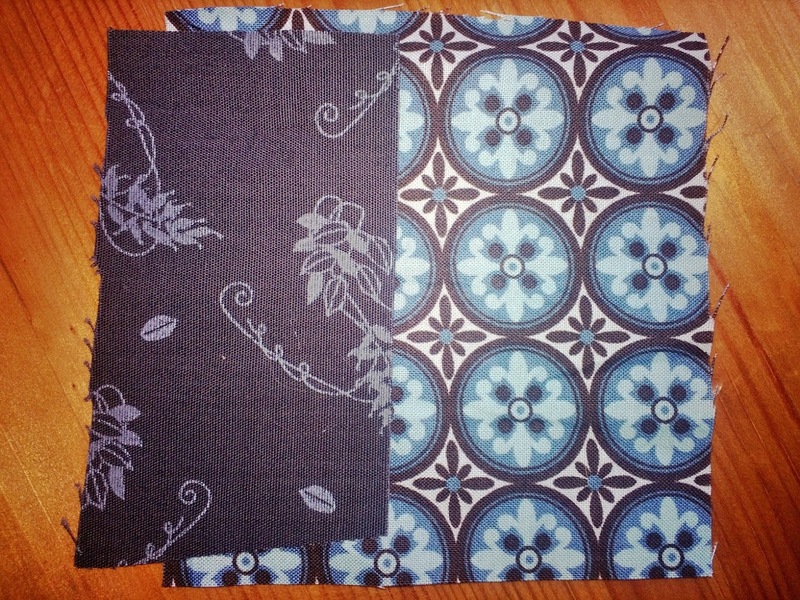 I was struggling to decide what to quilt over these 2 different fabrics and what thread color I should use. I did some small samples and have figured out the thread color (I think) but still not sure what overall pattern. It doesn't really matter what I decide for the medallion fabric since the quilting tends to get lost in the busy pattern, but it's a bit more complicated with the black/slate fabric. I don't want the slate colored flowers to get lost with too much quilting, but I couldn't figure out a way to quilt around the flowers to enhance them. In looking for inspiration and answers I stumbled upon this great video of "What to Quilt On Your Quilt" from Quilt Expressions. It's long, but as a new-ish quilter it provided some good information and things to consider when quilting your own creations.